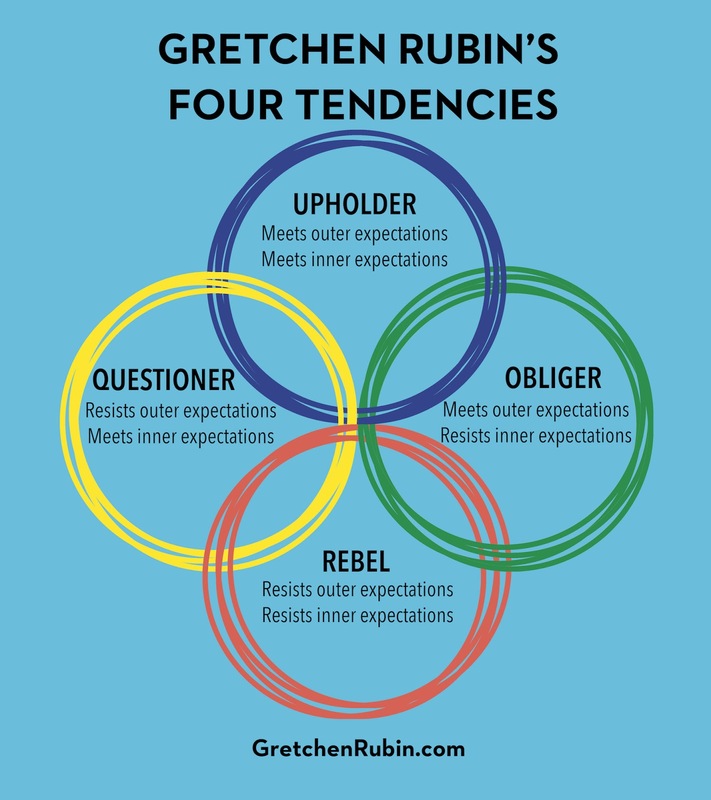 An Upholder wants to meet outer and inner expectations. This is SO me. I'm all about setting my own goals and sticking with them. However, I'm also a people pleaser. I really like to meet or exceed expectations and like to go above and beyond for others. A Questioner meets their own expectations and doesn't really worry about the external expectations. They are no grey areas--everything is black and white and needs to make sense. He's not a big fan of chaos and like to get things done in a timely manner. 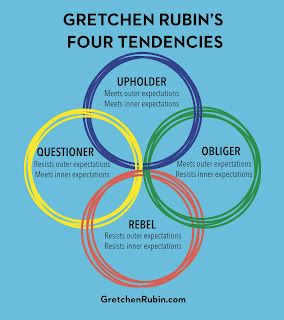 An Obliger is all about the outer expectations. OMG, Dylan is such a rule follower. He gets upset if we go over the speed limit and if on the kids menu it's 9 and under (he's 10), there is absolutely no way he can order off of it. The Rebel, Tyler. If you know Tyler then you're not surprised. We've always said what a joyful & confident kid he is and how he marches to the beat of his own drum. I'd encourage you to check this book out as well and see which tendency you and your family fall under!